Great ideas come quick and leave as quickly as they come. When brainstorming, having a way to record and organize those ideas can make sure your creativity is well captured. 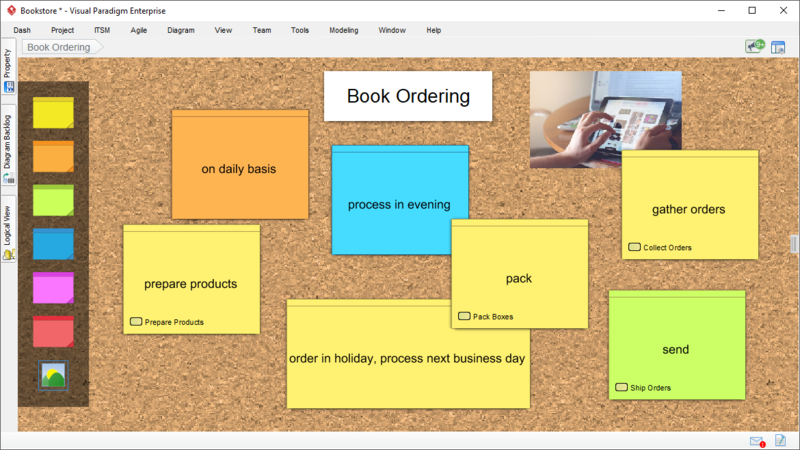 Mind mapping is a tool to help you keep and organize ideas. Ideas are layout in branches, which is extremely reader friendly and can drive you to think of more ideas in detail. Link related ideas and concepts by using a link connector. Set icons to nodes to represent different kinds of idea and concepts. Concentrate on brainstorming without moving between mouse and keyboard. 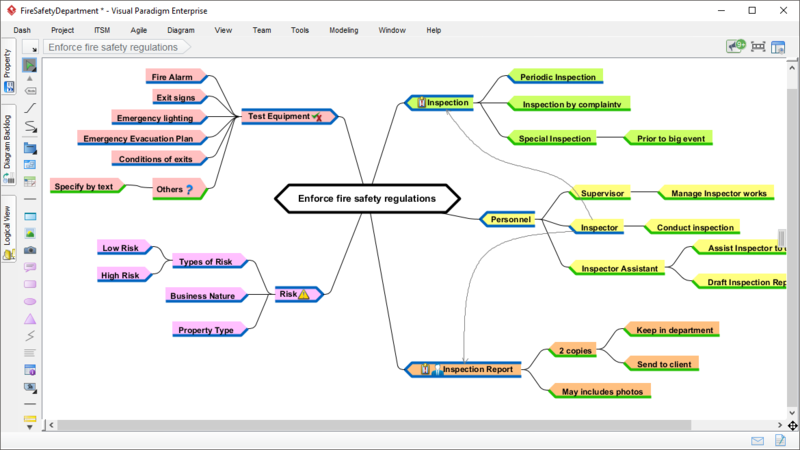 Hotkeys are available for creating mind map solely with keyboard. Nodes are automatic colored in a way to clearly identify the different branches of ideas. Take notes in stakeholder meeting, using the "Brainstorm" feature. When the meeting ends, convert the notes into actual model elements like BPMN tasks and pools.